What do we do at Catapult Engineering? Why, we siege the day, of course! 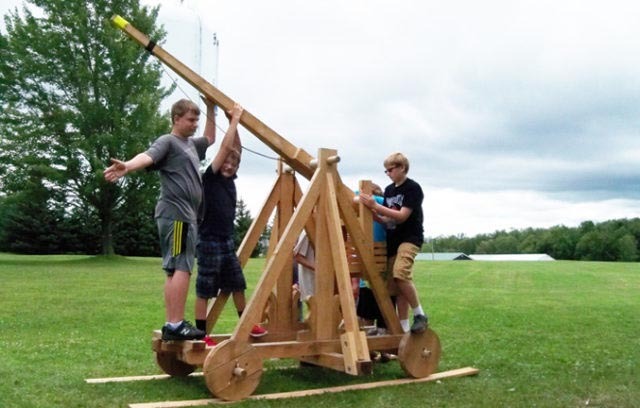 Teams build large outdoor trebuchets—catapult-like siege engines—for medieval challenges, like knocking down a mock castle wall. Hands-on engineering at its best: you get to break things! Children will learn to read and follow engineering plans to build an outdoor trebuchet within a team. 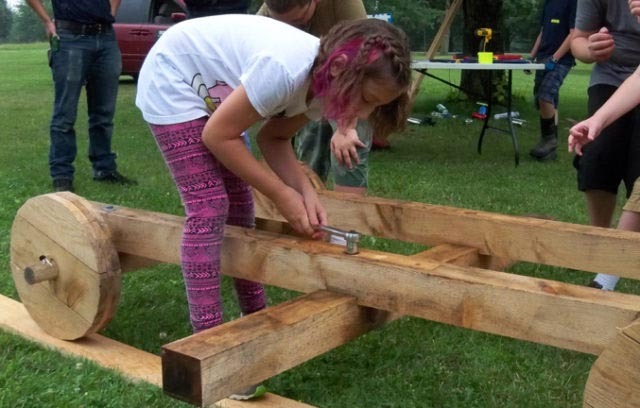 They’ll learn engineering and construction principles and work with a variety of hand tools. Each child also assembles a take-home tabletop hurling machine, which is used in indoor play. Indoor medieval art projects and outdoor games keep everybody energized! The culmination of the week is a demonstration of the trebuchets for friends and family. The teams do all the figuring, aiming, positioning, and loading. We emphasize safety and adult supervision, so it is the lead instructor who inspects and sets the trebuchet before allowing it to be released. 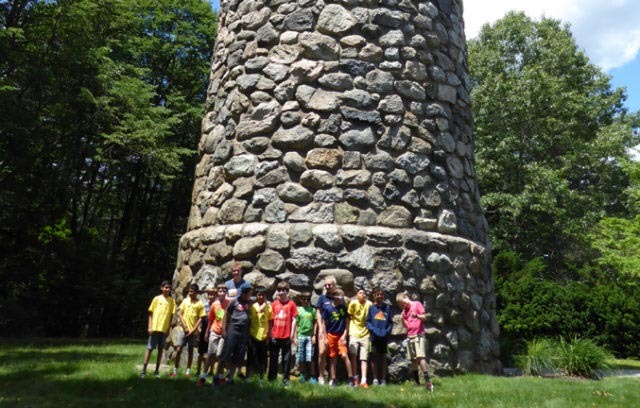 One day John was visiting with his son Andrew and nephew Christopher, and asked if they had any ideas for a new summer STEM experience. There answer? Catapults! Easier said than flung. And so the challenge was on. A trebuchet would be designed and built, combining a bit of structural and mechanical engineering. The best part is that now, students get to pore over the drawings and come up with their own design enhancements. This fun medieval week allows your child to explore structures, physics, statics, mechanics, joinery, simple machines, construction and more, working with tools like tape measures, protractors, squares, levels, wrenches, levers and fulcrums, wedges, pulley blocks, and mallets. 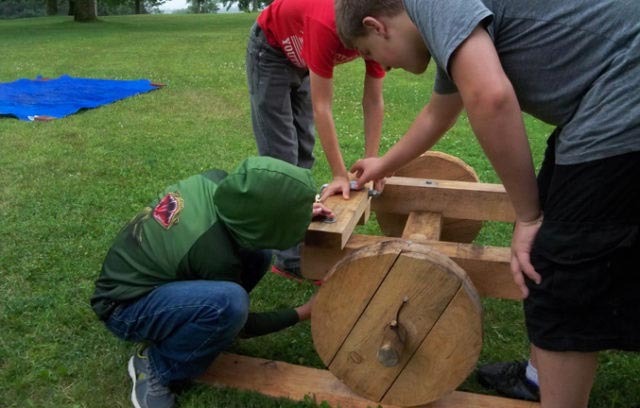 In the process of building their own trebuchets, they’ll develop team building and leadership skills as they solve engineering problems, and enjoy the fun and satisfaction of building a machine that works with spectacular results! Why choose EOS Catapult Engineering? Really? 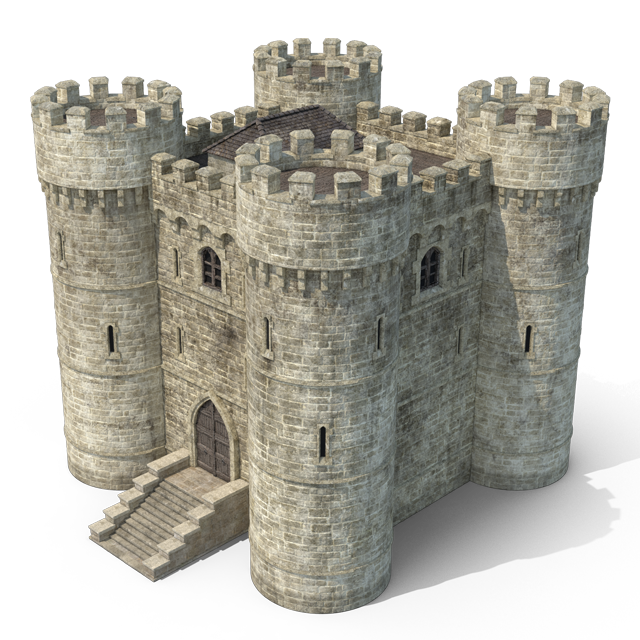 Knocking down a castle wall from 40 meters away with a trebuchet that you have built, set up, and tested with fellow medieval engineers? Even adults want to register for this week! Working in collaboration with fellow team members, your child will soon experience the satisfaction of performing a job, and doing it well, to advance a team goal. Children revel in the workshop atmosphere. Real engineering drawings and hand tools, fun physics, estimating, testing, strategizing, and action all combine to advance skill sets and build confidence.